When you combine loud activity and a raucous crowd in a space surrounded by hard surfaces, you get an acoustic nightmare. Sound bounces all over the place, reverberating in ways that are unintelligible, distracting and unpleasant. 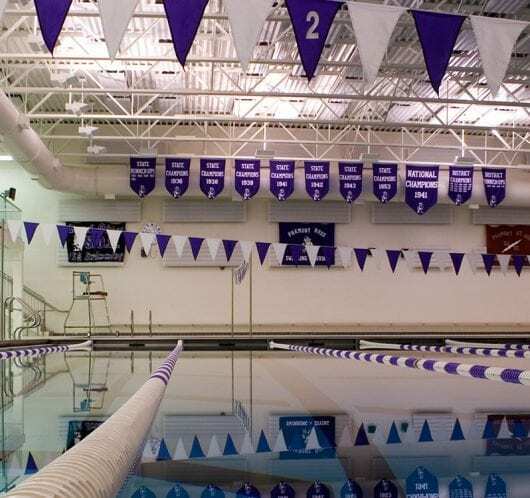 This is exactly the scenario encountered in buildings with indoor pools, also known as natatoriums, and it’s a problem that Fremont Ross High School in Fremont, OH needed to solve. Eckel Industries Eckoustic Functional Panels provided the remedy, transforming the school’s natatorium into a space acoustically suited for every intended purpose.